Britain has significantly higher unemployment among black people than America, according to a new study. The report by the British Sociological Association links high unemployment rate to racial inequality and Britain’s deindustrialisation and a flexible labour market that have created a more unequal society. During the last three recessions unemployment among black British men was up to 19 percentage points higher than among those in America. The report’s author Professor Yaojun Li, of the University of Manchester, says that one in three Black British men were unemployed during the recession of the early 1980s, and that figure rose role to almost 40 percent in the recession in the early 1990s, but came down to 22 percent in 2011. The highest unemployment figures for Black British women in the three recessions were 25, 26 and 17 percentage points, compared with 2o, 12 and 13 percentage points for their African American counterparts. Between recessions the figures for UK unemployment among black people were higher than in the US, however, the gap had narrowed over the past few years, he said. Professor Li, who analysed responses from 4.7 million people to the most authoritative social surveys in the two countries, believed that it was America’s affirmative action programme and federal procurement policy that mandated public institutions to have staff compositions representative of the population that had helped lower the rate of unemployment among African Americans. Britain’s unemployment was also higher among the young. For black men aged 16-24, the unemployment figures reached 47, 62 and 39 percentage points in the three recessions in Britain, compared with 38, 35 and 37 percentage points in America. And the figures were 45, 51 and 44 percentage points for young black women in Britain as against 35, 25 and 24 percentages in the US. “This may be due to the fact that in Britain the mid-1980s and the early 1990s recessions were accompanied and exacerbated by a process of deindustrialization and restructuring of the economy, and by the retrenchment of the state, which happened much more abruptly in Britain than in the USA,” Prof Li said. He pointed out that the much-vaunted flexible labour market as espoused by the Conservative Government in Britain between 1979 and 1997 does not seem to have solved the problem of stimulating economic activity but it instead reduced human creativity. Yet, worse is still to come. 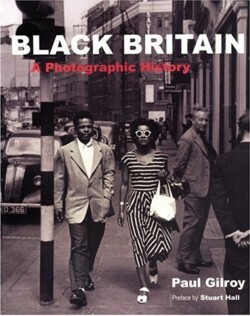 As a large proportion of the disadvantaged group, particularly black people, tend to find employment in the public sector, if they can find a job at all as the current Conservative Government’s plan is to cut public sector employment further, which is most likely hit Black Britons and other vulnerable groups even harder. The Department for Work and Pensions said: "We know times are tough for jobseekers and tackling unemployment remains a priority for this government. That is why we introduced the work programme, which provides tailored support to help people overcome any barriers that may be preventing them getting a job. We have also launched the youth contract, which will give half a million young people opportunities through apprenticeships, work experience and a wage incentive for employers."